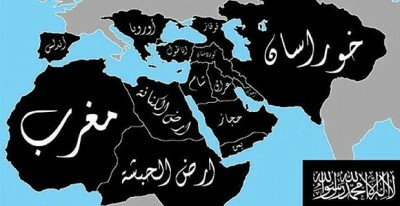 A revised map issued over the weekend by ISIS claims territory in Spain and parts of Europe. On Friday we reported on the ISIS five year expansion plan. It shows the Middle East, including Israel, the Arabian Peninsula, North Africa, Afghanistan, Pakistan, Indonesia and India. The Islamic State of Iraq and al-Sham (ISIS), the terror army supported by Saudi Arabia, the CIA and trained by the Pentagon, has declared a caliphate in the Middle East. It has changed its name to the Islamic State, dispensing with Iraq, Sham and the Levant. The announcement was made on the first day of Ramadan, the Muslim holy day. An ISIS spokesman said Abu Bakr al-Baghdadi is the leader of the declared caliphate reaching from Syria into Iraq. The shadowy al-Baghdadi may actually be several people using the same nom de guerre, according to Lieutenant-General Sir Graeme Lamb, a former British special forces commander. He was reportedly held as a “civilian internee” at Camp Bucca in Iraq and released in December, 2004. It is unlikely members of the world’s second largest religion, totaling 1.6 billion people, will recognize the caliphate and pay allegiance to al-Baghdadi. 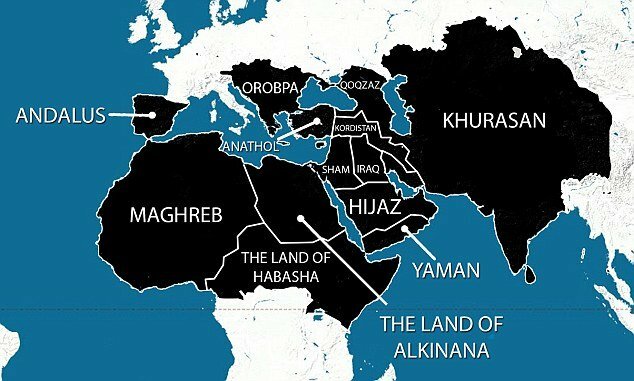 More realistically, the move is intended to shore up support in the areas controlled by ISIS, now simply IS, and serve as propaganda for the incremental expansion of the jihadist movement into other areas of the Middle East, most notably Jordan, and Africa. ISIS propaganda video capture shows plan to move into Jordan.